Many of the IEEE 802.11 teleconferences use "Join Me". We share a single IEEE-SA supplied account amongst these meetings. The meeting credentials and local dial-in numbers are shown here. You can import the calendar as an iCal file, or use the "Add to Google Calendar" at the bottom right of the calendar below. IEEE Std 802.11aj-2018 (China 45GHz and 60GHz), IEEE Std 802.11ak-2018 (General Link) and IEEE Std 802.11aq-2018 (Pre-association Discovery) have been published recently. The 802.11 Working Group recognized the contributors to these amendments with an awards ceremony. The photo to the right is of the 802.11aq awardees who were present. The next 802.11 session is May 12-17, 2019 at the Grand Hyatt Atlanta in Buckhead, Atlanta, Georgia, USA. The (draft) agenda will be available in early April 2019. At the upcoming July 2019 session, IEEE 802.11 is hosting a Coexistence Workshop, in collaboration with 3GPP. See the details (agenda, call for papers and logistics) here. See the Working Group closing report for the recently completed March session, and the January 2019 session. Of particular note, the recently completed simulation and analysis shows that P802.11ax D3.0 satisfies the primary MAC/PHY requirements for the benchmark enhanced Mobile Broadband (eMBB) Indoor Hotspot test environment. The IEEE has made available IEEE 802 standards for free download. Under this program, a standard may be downloaded for free six months after the initial publication of the standard. All relevant IEEE 802.11 Standard, Amendments, and Recommended Practices are listed. Recent liaison statements and communications are available here. 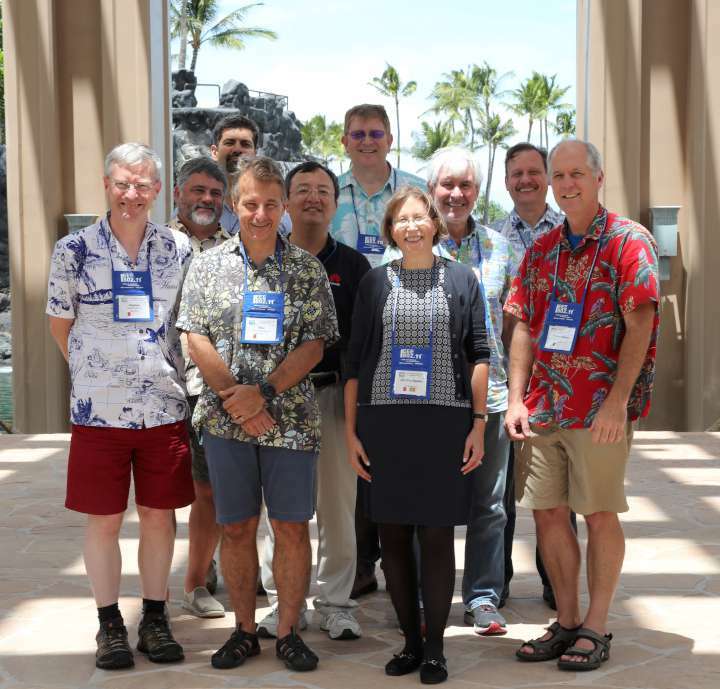 The former publicity standing committee (PUB SC) and other volunteers have produced presentations to describe the activities of the IEEE 802.11 Working Group. These presentations are intended to be used to explain 802.11's activities to those outside 802.11. If you are a voting 802.11 member, go to the members' area and log in using the 802.11 members ID and password supplied to you by the 802.11 officers. Contact Dorothy Stanley if you have lost this. During an 802.11 session, attendees may access 802.11 draft standards from a local fileserver, regardless of their membership status. If you are an active member of one of the other 802 groups, you may be able to access the 802.11 members' area using the same credentials used to access your own group. If this doesn't work, ask your group's Chair to request access from the 802.11 Chair (Dorothy Stanley). Draft IEEE standards are, from time to time, made available for purchase using the IEEE store or Techstreet. The IEEE-SA has created an easy to use Online Standards Development web site that has a wealth of information that details the whole standards process flow, from creation of the initial PAR, to balloting to final draft, and beyond. It even includes, tutorials, and online forms of the various processes evolved. This site is recommended for all Members and Chairs involved. This page is maintained by Dorothy Stanley. Comments are welcome. IEEE Std 802.11, 802.11a, 802.11b, 802.11b-Cor1, 802.11d, 802.11e, 802.11F, 802.11g, 802.11h, 802.11i, 802.11j, 802.11k, 802.11m, 802.11ma, 802.11-REVma, 802.11mb, 802.11REVmb, 802.11mc, 802.11REVmc, 802.11n, 802.11p, 802.11r, 802.11s, 802.11T, 802.11v, 802.11u, 802.11w, 802.11y, 802.11z, 802.11aa, 802.11ac, 802.11ad, 802.11ae, 802.11af, 802.11ah, 802.11ai, 802.11aj, 802.11ak, 802.11aq, 802.11ax, 802.11ay, 802.11az, 802.11ba, 802.11bb, 802.11bc, 802.11bd, 802.11md, 802.11REVmd, 802.11.1 and 802.11.2 are trademarks of the IEEE. All other names or product names are the trademarks, service marks or registered trademarks of their respective holders. Copyright (c), the Institute of Electrical and Electronics Engineers, Inc. (IEEE). All rights reserved. This website may contain names, logos, designs, titles, words, or phrases that may constitute trademarks, service marks, or tradenames of the IEEE or other entities that may be registered in certain jurisdictions.